Way back in the day, like a couple of years ago, a variety of influencer marketing platforms started appearing everywhere. Many of them marketed themselves with the promise that you could “Say goodbye to spreadsheets!”—the marketers tool of choice when it came to organizing their influencer operations. The funny thing about that is, most of those companies made software with features that went way beyond the need to simply organise their influencers. The options were plentiful, but in a way they were limiting, too. You could say goodbye to spreadsheets and find new influencers; say goodbye to spreadsheets and manage campaigns; say goodbye to spreadsheets and manage relationships; say goodbye to spreadsheets and do any or all of these things. One thing companies could not do—or at least not do elegantly—was to simply say goodbye to spreadsheets. So that left a lot of people out in the cold who honestly just needed something better than spreadsheets. Well, it took a few years to find that simple little system that didn’t try to do too much, but it’s here—and it’s called Stellar (if the name at the top of this review wasn’t enough of a giveaway). Founded in 2015 by CEO Cathy Pill and CMO Sarah Levin, Stellar is, at its heart, a productivity app. You know those neat little apps you download on your phone that help you organize your life in a way that makes everything so much easier? Stellar’s like that, except you can use it to as the foundation for multi-million dollar influencer marketing campaigns. Full disclosure: Stellar actually does more than just replace your spreadsheets, too. It isn’t a purpose-built unitasker, but it also doesn’t stray outside its core use. That is, the other benefits you get out of using the platform are natural extensions of its organizational function. Meaning, if you’re going to manage and organise your influencers effectively, you’ll need to pull their content and engagement, too. And while you’re getting that, you might as well put it to some good use, which is exactly what Pill and Levin made sure to do. Like other SaaS platforms, Stellar charges a monthly fee for access, and there are three different levels of subscription. There’s a free plan, and two others that you can pay for—the pricing for each of these levels changes based on the number of influencers you’re managing, from 25 to 5,000. For exact pricing, you can check out Stellar’s own pricing page. For a description of the different levels, and ballpark cost, read on. Free — You can use this plan for free and forever, as long as you never need to manage more than 3 influencers at a time. It’s a great way to try out some of the basic features and get a feel for the platform though. Standard (79€/mo for 25 users, up to 1,399€/mo for 5,000) — At this level you get unlimited user accounts for your team to access to the influencer management tools. You can organise them into groups, see their stats, audience data and analysis, export groups, and collaborate with team members. Premium (169€/mo for 25 users, up to 1,999€/mo for 5,000) — This gets everything in Standard, plus campaign stats, content monitoring and export, unlimited reporting, and report sharing. While the design of Stellar isn’t going to wow anyone, there’s something to be said for its simplicity. At its core, the platform’s goal is replacing those old spreadsheets—complicated eye-sores with a bunch of data populating cells. When you login to Stellar, there’s no struggle to make sense of what you’re seeing. There are three different sections of the platform to navigate to: Influencers, Groups, Reports. Whichever one you choose to go to, there’s a link to a video demonstrating how to use that particular section. It really couldn’t be easier to get your groundings here. The first section, Influencers, is where you can add—you guessed it—your influencers. Remember, this isn’t a discovery tool. It assumes you’ve already got a list of influencers that you’re working with—or are using some other tool to find them. If you’re already working with influencers and maintaining a “database” of them in Excel, you can bulk import the whole group using CSV or XLS files. If you’re adding them as you find them, you can just type in their @username, and Stellar shows you all their social accounts. Of course, showing up with your already-established list of influencers doesn't mean that you won't find new ones in the future—and Stellar provides a browser extension so you can quickly add the new profiles right from their pages. Once you've gone back to the platform, you'll see these new profiles waiting for you. Within the platform, entering a name gets you all of their social profiles. Choose any or all of them, click a button and you’re done. 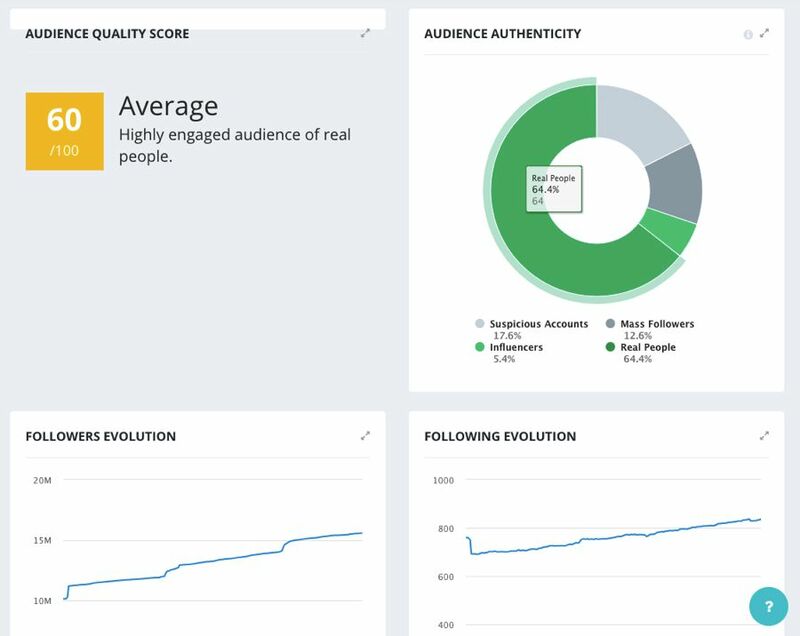 Much of their data will be instantly available to view, including stats on their total social reach and engagement rate. That rate won’t be across all channels, just the one with biggest audience. There’s an extra manual step you have to do in figuring out which one that is, and it would be nice if Stellar would just report that information to you directly. Other than that, the influencer profile is an excellent resource for information on your influencers. You’ll get a mini feed for each of their accounts, showing you recent content, including Stories. Click on Stats for detailed performance metrics, along with their most used hashtags for the last 30 days and other accounts they mention. You can dive even deeper on their Instagram audience, getting loads of useful information out of it. There’s the standard age/gender/location breakdowns, but also details on the audience’s other interests, and a very useful analysis on the audience quality. Once you’ve got your influencers all added in, you can then start to organize them into groups. Those groups can be anything you want them to be—by topic, or audience, or campaign, or all of them—it’s super flexible. That said, the process of creating and populating these groups is Stellar’s one low point. It’s not that it’s a terribly painful process, but it’s more cumbersome than it could be. You add influencer to groups in one of two ways. 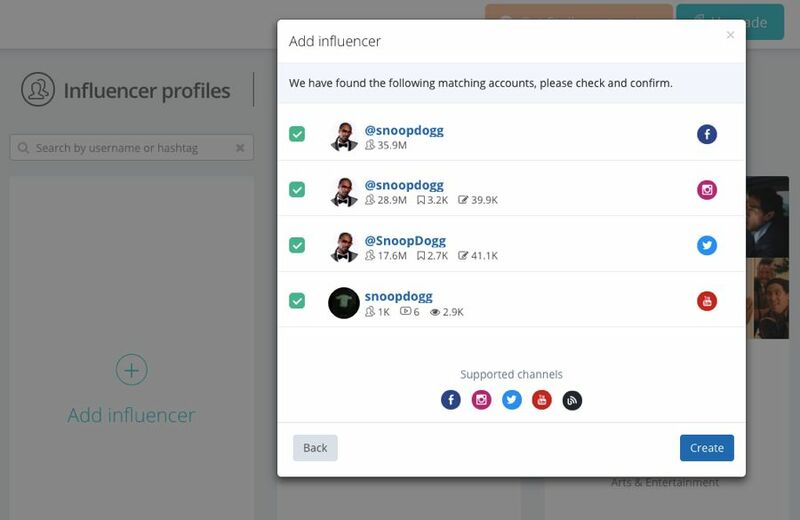 If you’re in the Influencers section, you can bulk select all the influencers you want in a group, then add them with a single click of a button—IF you’ve already created the group. This is something you’ll do three or four times before it likely becomes muscle memory to just create groups before adding influencers. You can also add influencers to groups in the Groups section (naturally), and here the process isn’t great. 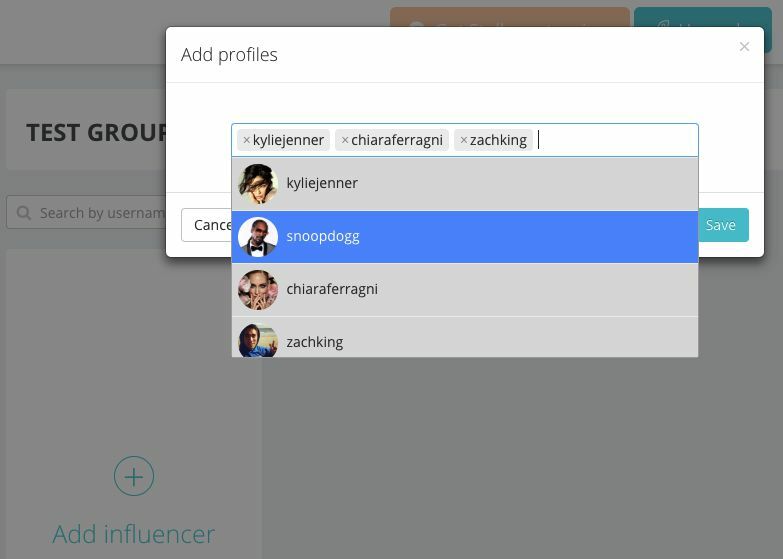 While you can add multiple influencers to a group at once, you have select them one at a time. Meaning: you can either their name in and click on the matching influencer when she pops up in an autosuggest feature, or you just click on the search field for a drop down list of all your influencers and scroll through what could be a really long list to select them. And then you do either of these again for each influencer you add. Note that you can also add new influencers right from the group creation process, as well, making it so there’s actually too much choice. The process needs to be simplified into a more cohesive user experience. There’s really no need for the Groups section to be separate from Influencers—they’re each an important part to organising influencers, so why isolate them from each other? Luckily, creating and managing groups is how you’ll spend a very small portion of your time in Stellar. The final section, Reports, is what seals the deal in favor of Stellar. You’ll primarily run reports on your own campaigns, but there’s nothing to stop you from monitoring your competitors, too. That could be useful intel in developing you own strategies. 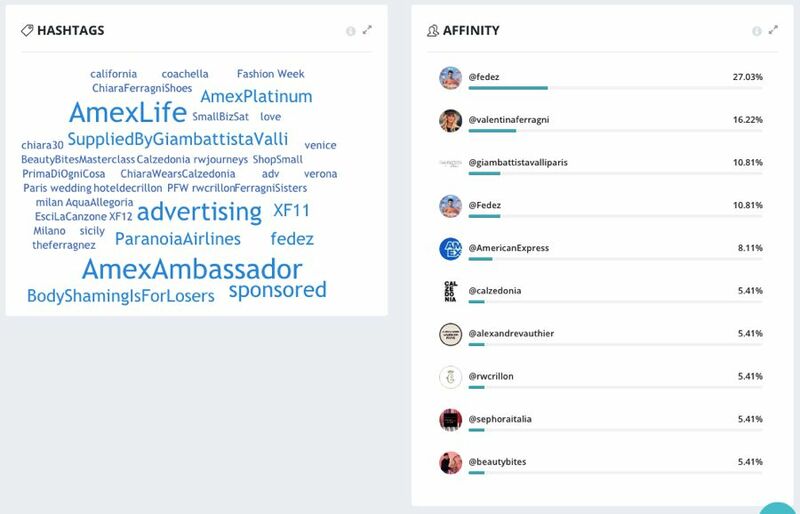 To create a report, you tell the platform which influencer group you want to include, give it a start and end date, select which social channels you want to monitor, tell it which hashtags or mentions to look for, and it starts collecting data. If you’re trying to drive clicks to a URL as part of your campaign, you can add it in here, too. You’ll then be able to see which influencers were the most successful at driving traffic. The reports you get are very thorough. 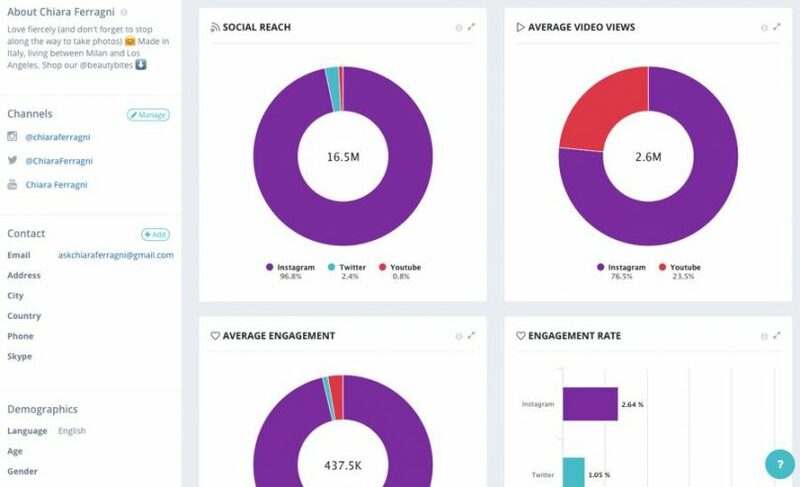 One section shows you top level metrics of a campaign: total reach and engagement, the number of influencers, total number of posts, clicks—there’s a lot here. You can drill down to each influencer, as well, seeing individual performance stats. Who’s not worth the money you spent? Who’s your best ambassador? These are great questions to ask, and you’ll get these answers. Additionally, Stellar also aggregates every post made for your campaign, so you can see exactly what’s out there. Every picture, video, and story is right there for you to see, and you can download any of them to save forever. You can also export all the data, or share the live report with anyone. These are things you cannot do with a spreadsheet. What’s best about Stellar is that it’s not trying to be more than it should be, but ends being that anyway. The platform exists to organise all your influencers and campaigns into a single platform. Of course you’d want to get all the associated data with that, too, so it makes sense for Stellar to include that with each profile. If that was all there were, I’d say this is a solid tool with limited use. By adding the campaign reporting feature, you’re going from management to analytics, already a big leap in function. By making the reports so easy to read (and to just look at! ), the result is nothing short of—well, stellar.